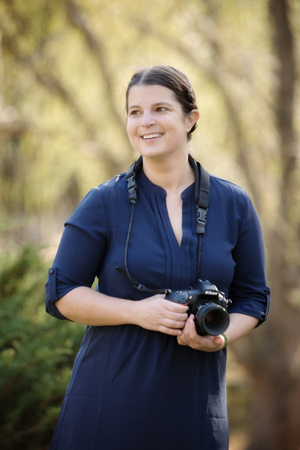 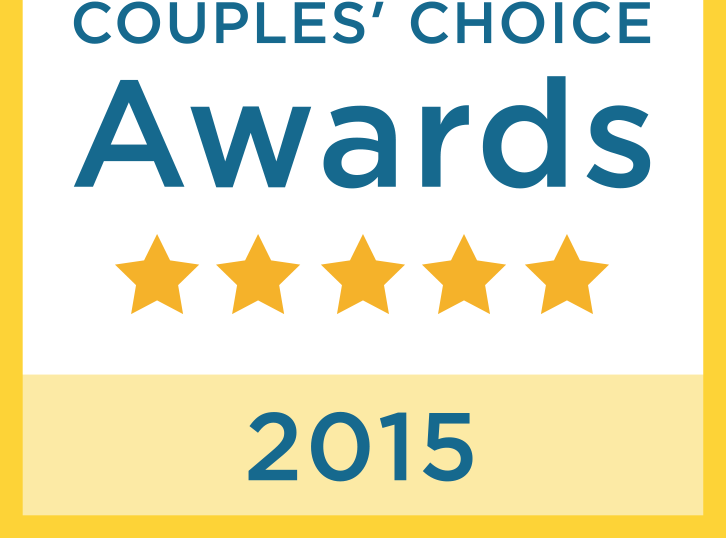 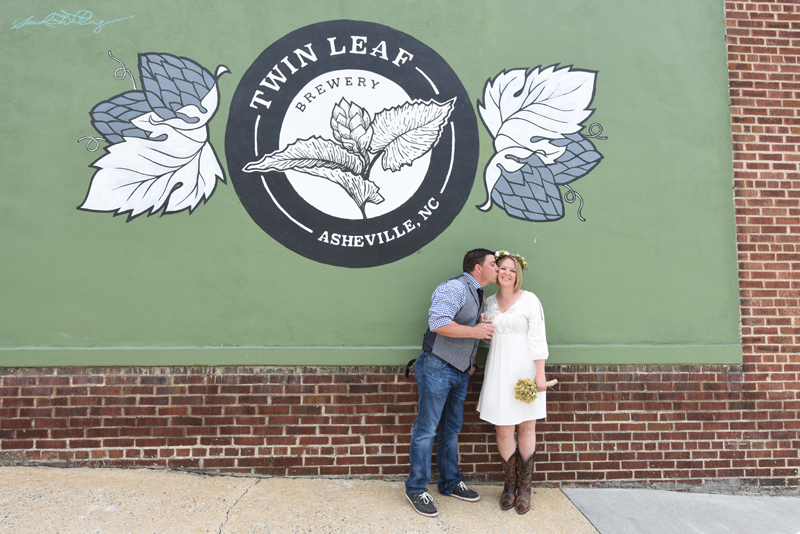 What a fun way to celebrate a ten-year anniversary! 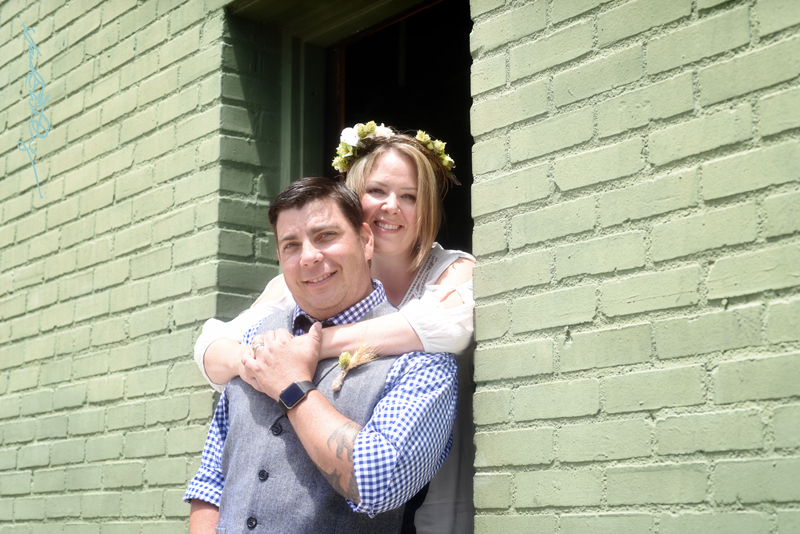 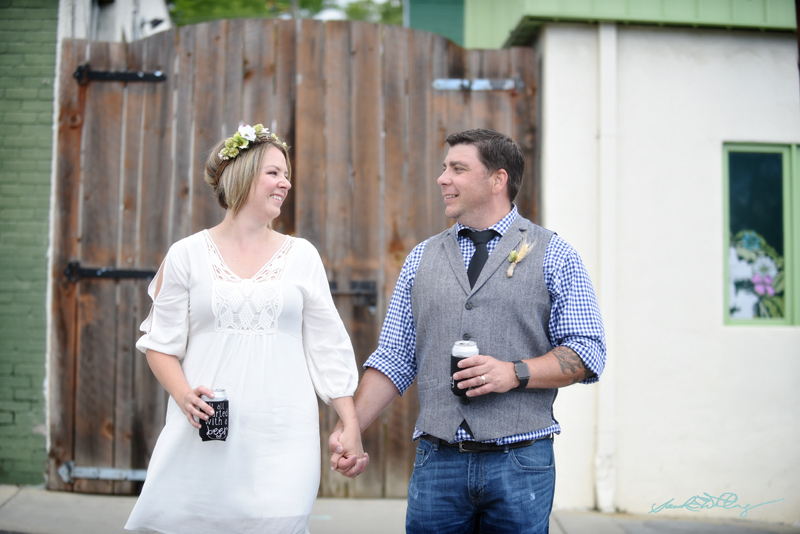 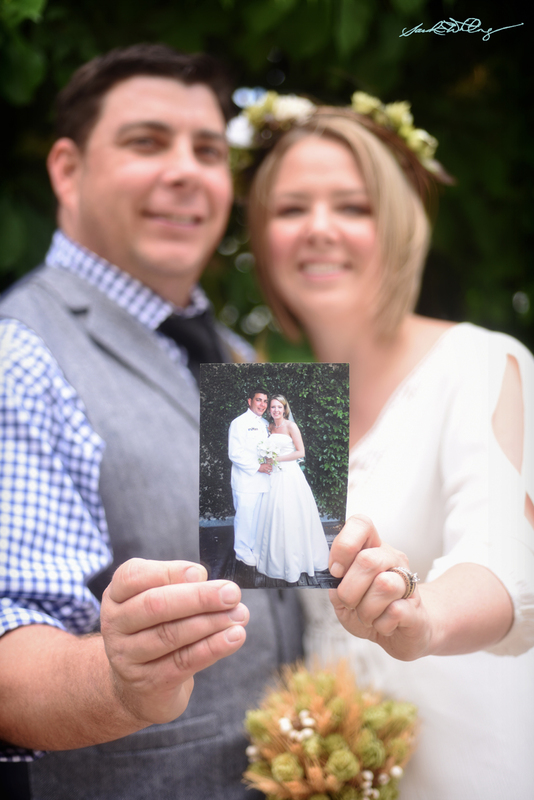 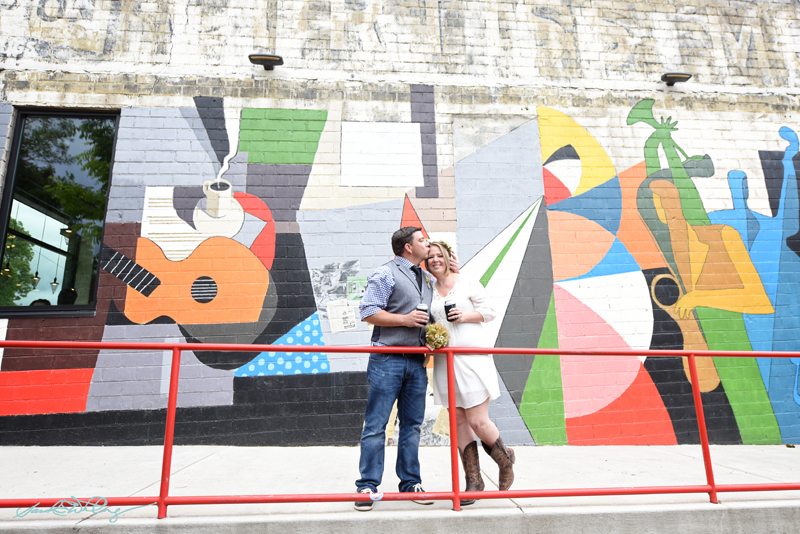 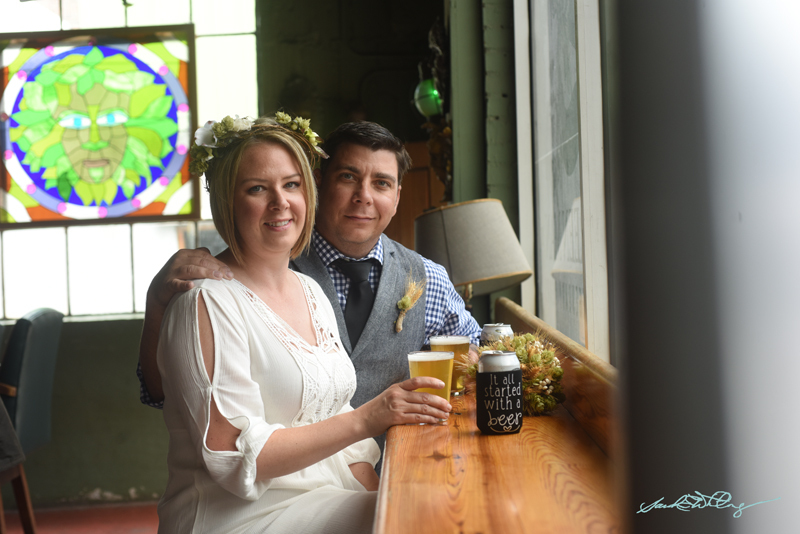 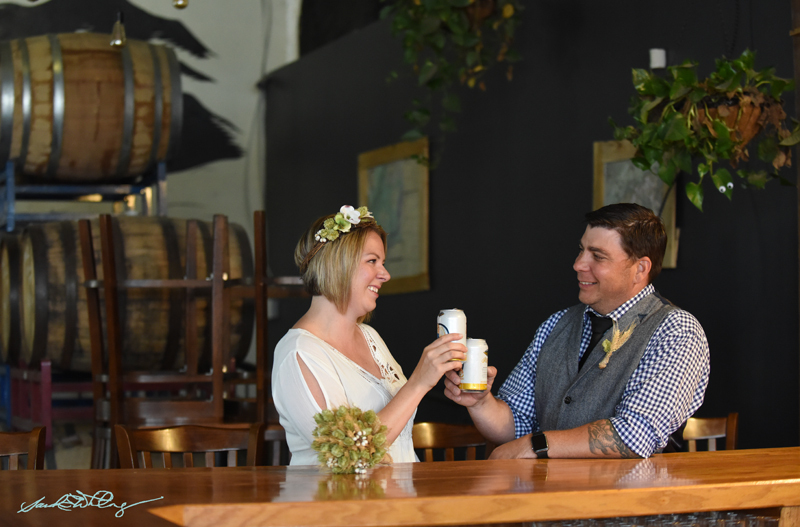 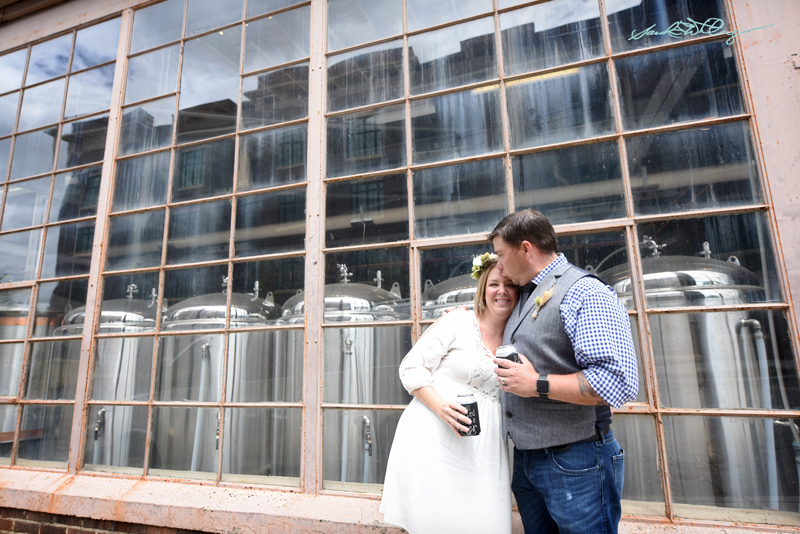 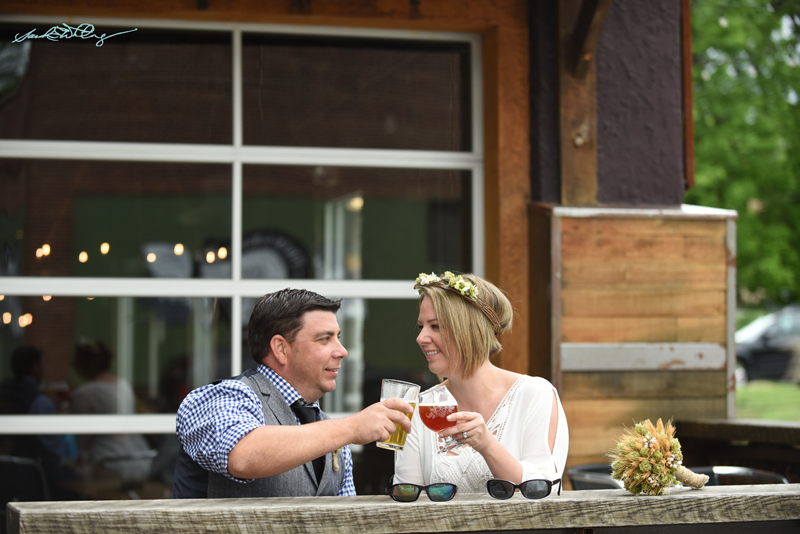 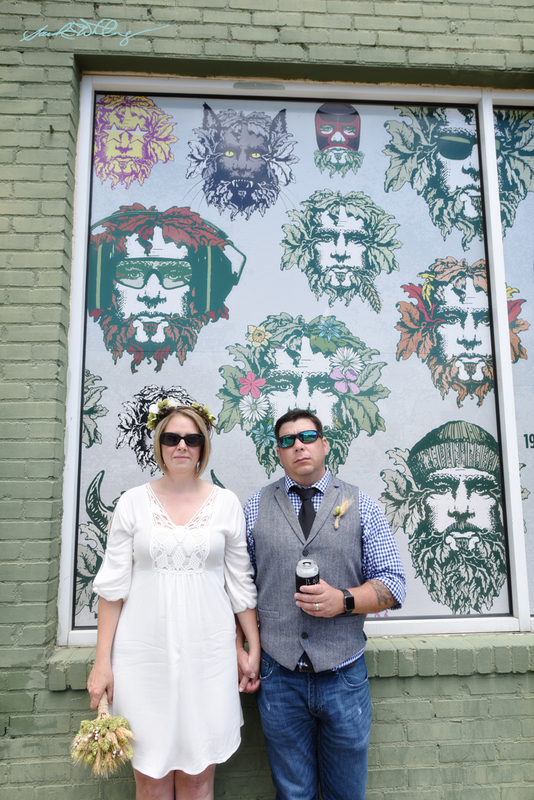 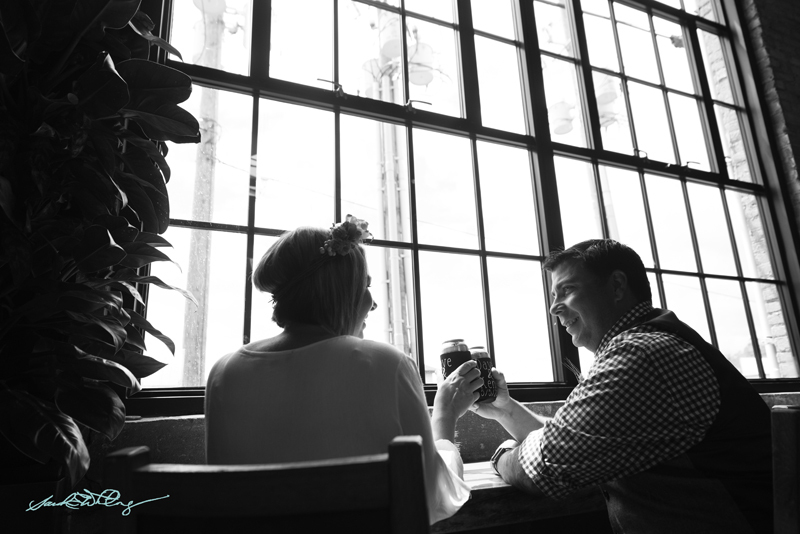 Kenley and Dave traveled from Florida to Asheville’s South Slope, the new downtown hub for “beer city”, to renew their wedding vows. 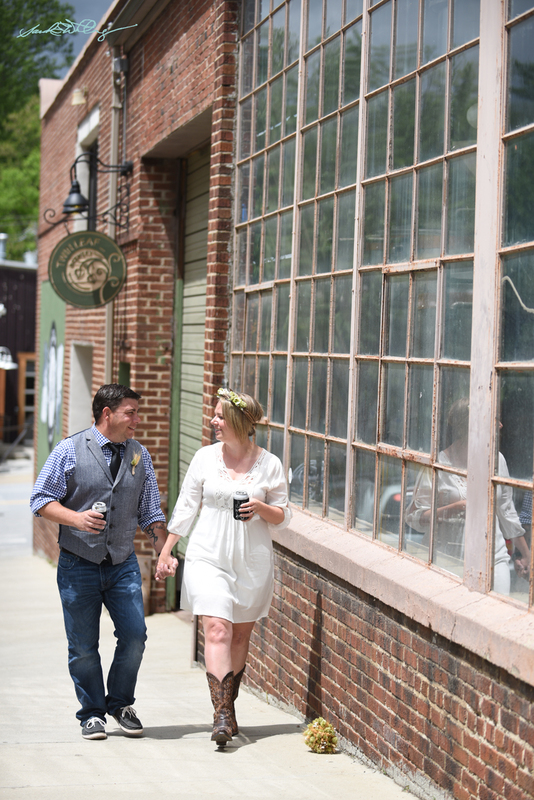 “Renewing the lease,” Dave called it! 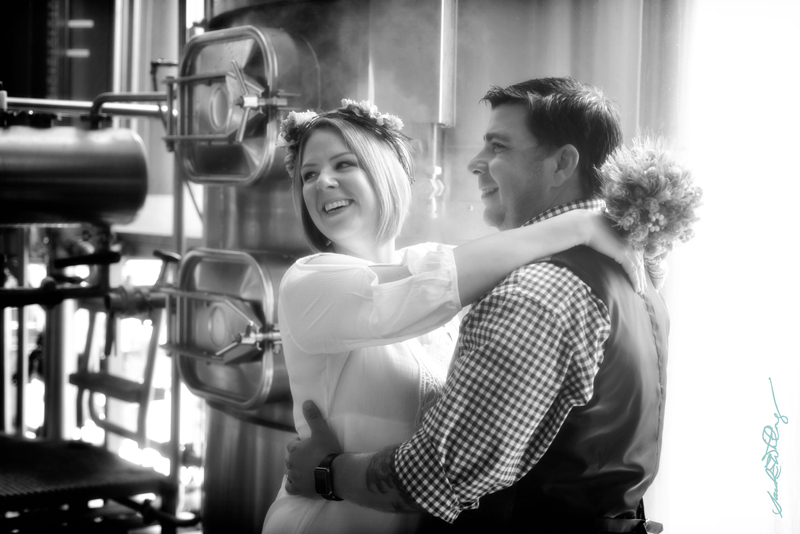 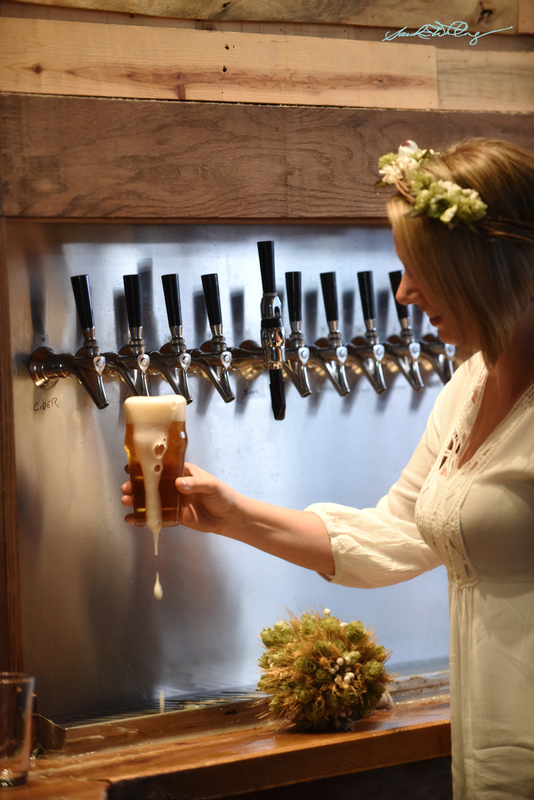 Dave is a master brewer at Veterans United Craft Brewery and Kenley admits that she and Dave are so different in so many ways but one big thing they share in common is their love for good beer! 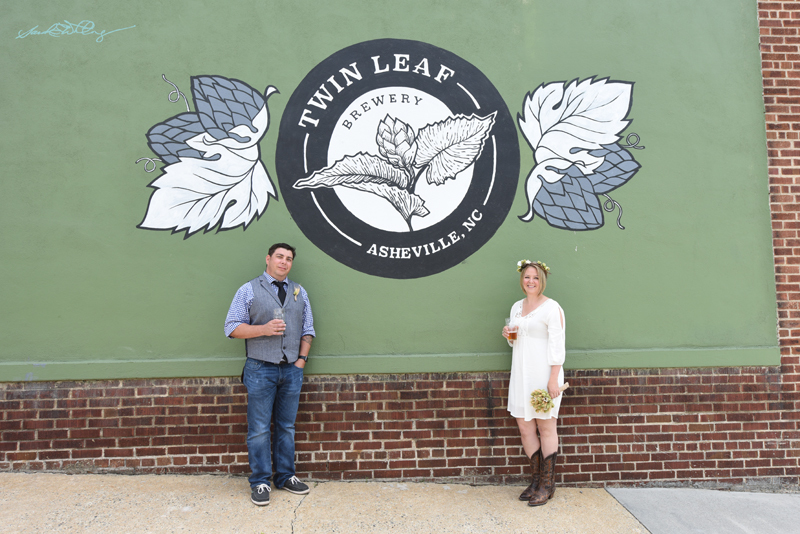 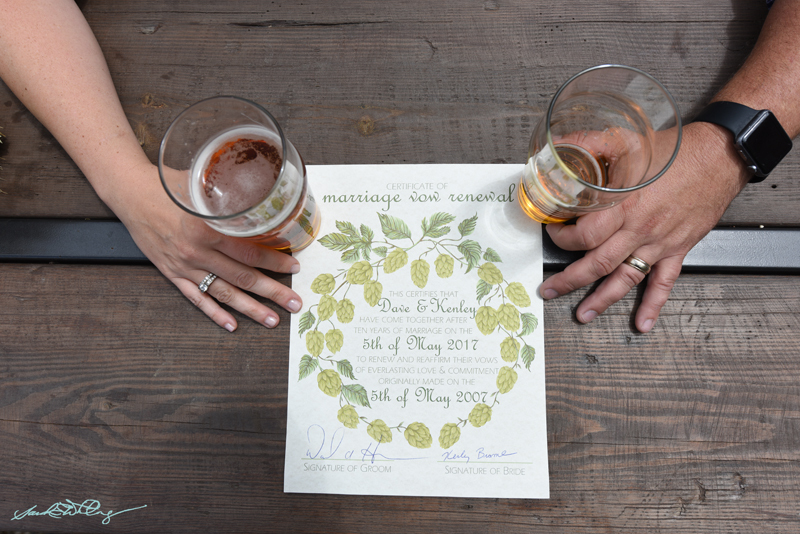 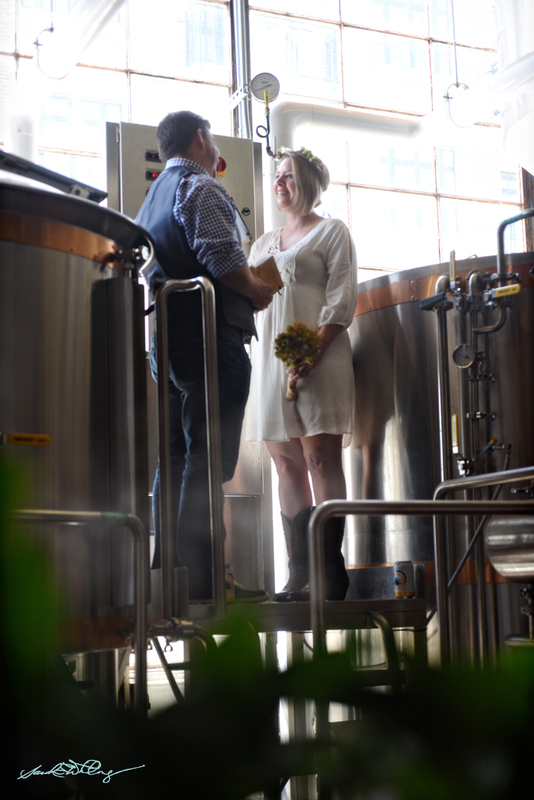 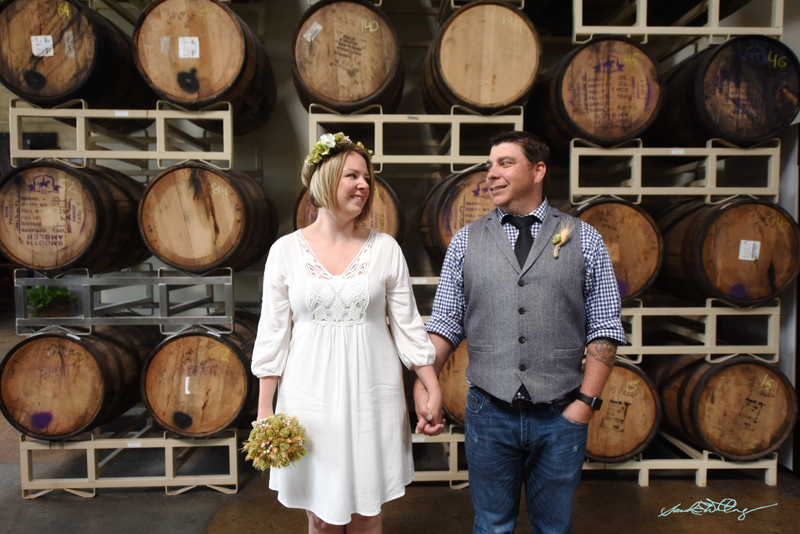 We started at Twin Leaf Brewery, where they graciously allowed Dave and Kenley to share some new vows while they brewed beer! 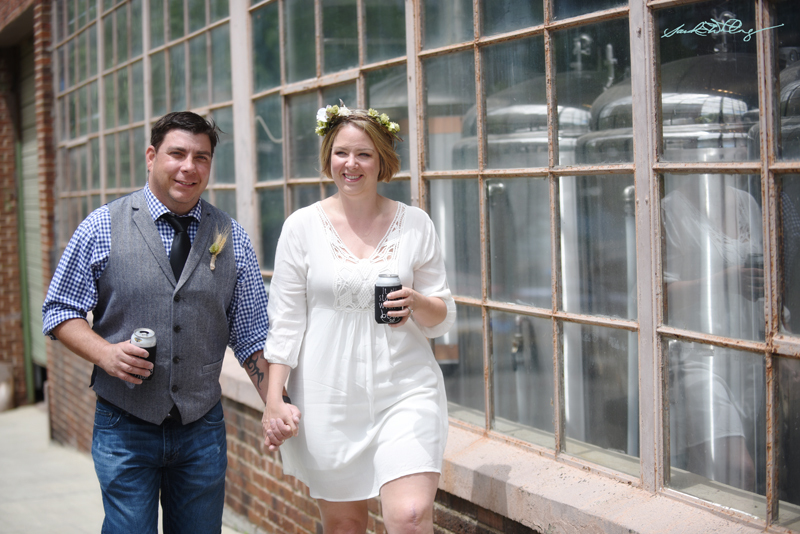 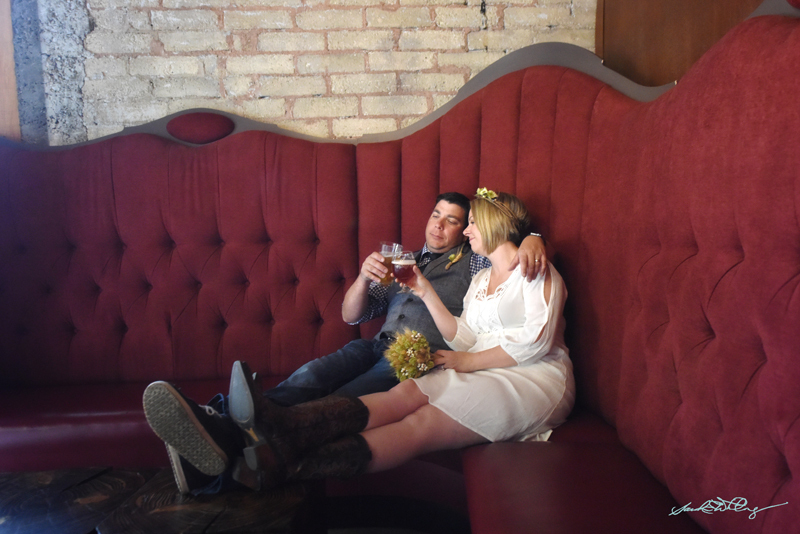 Then we walked around the South Slope, stopping at Catawba, Green Man, Tasty Beverage Co., and Funkatorium! 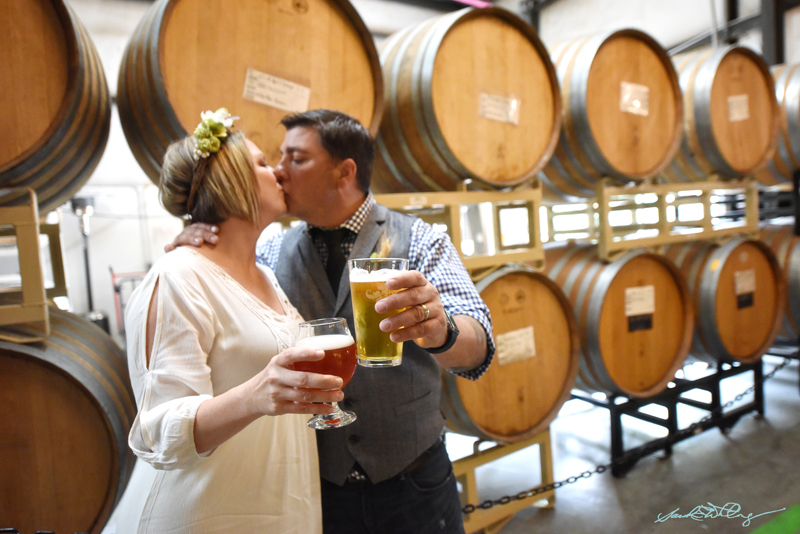 After I left, these two continued their celebration at Sierra Nevada Brewery! 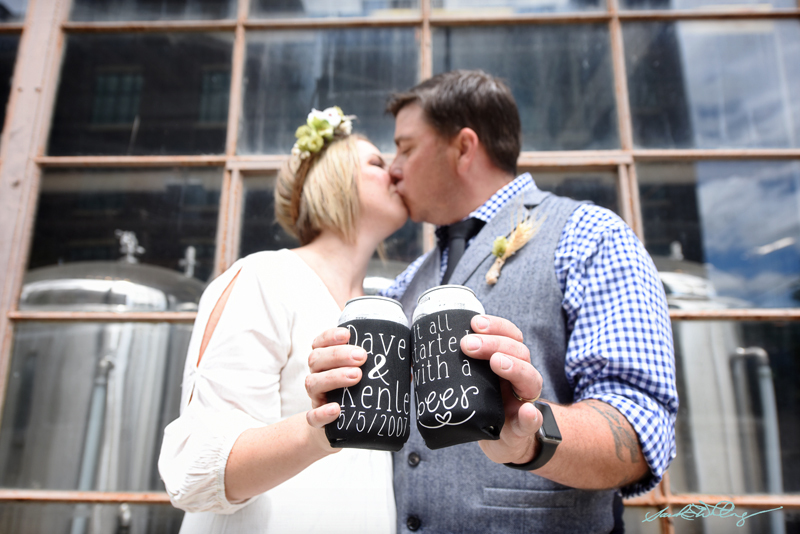 Wishing these two many many more years of “cheers-ing” and drinking good beer together! 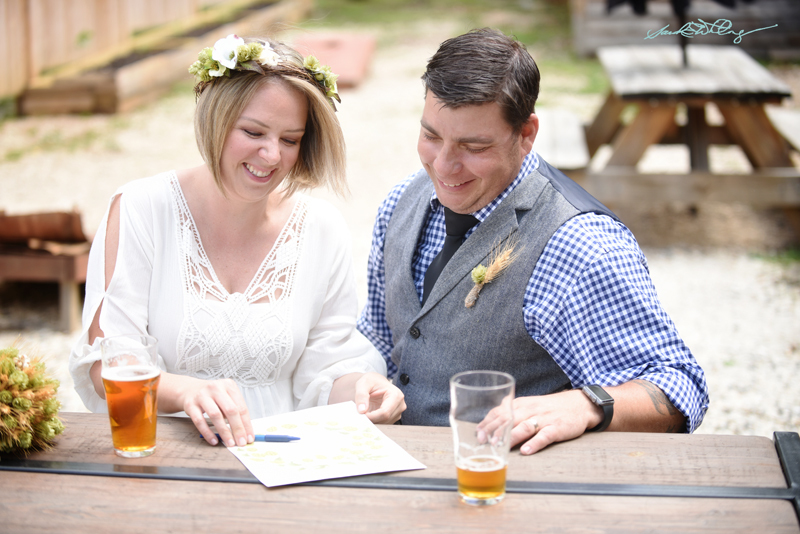 the “renewal of the lease” ! 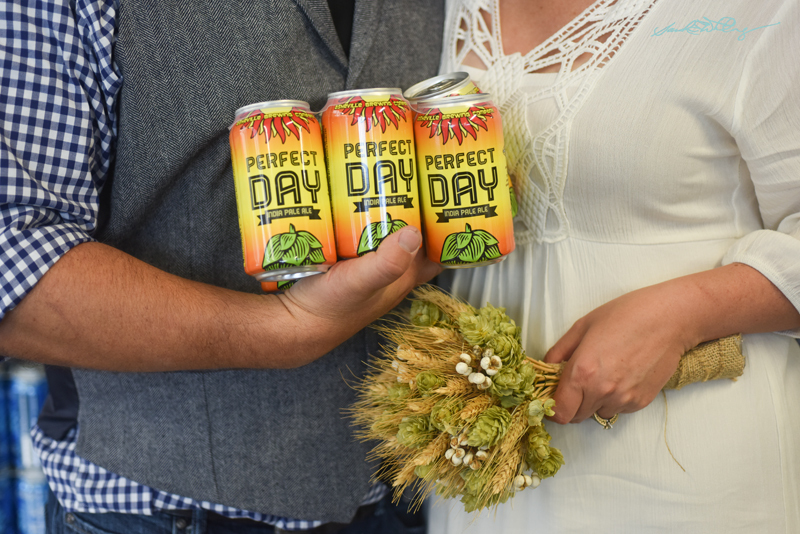 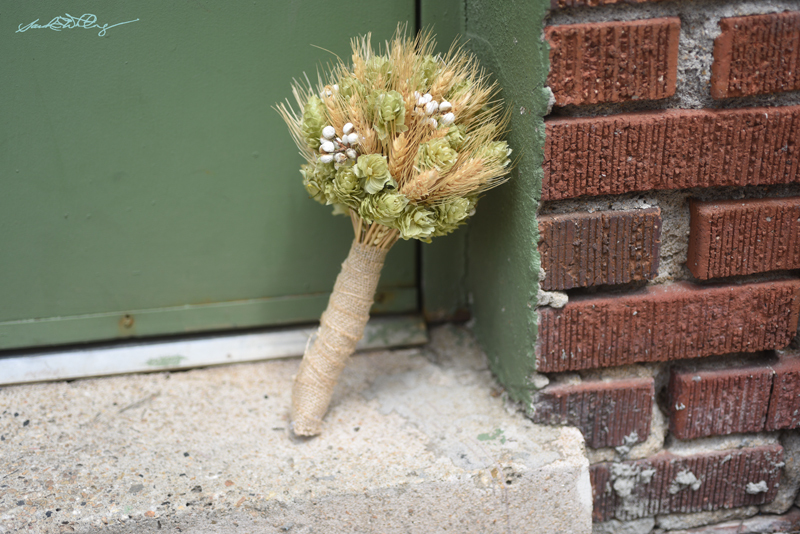 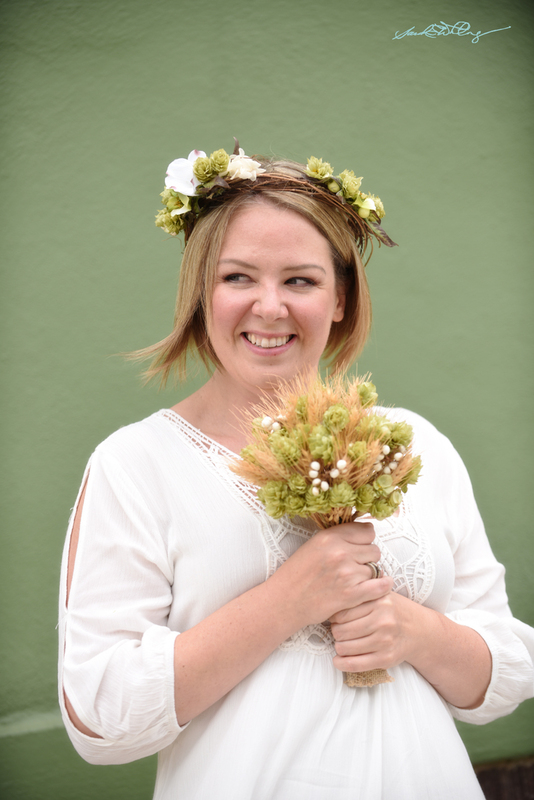 Kenley MADE this gorgeous hops bouquet!